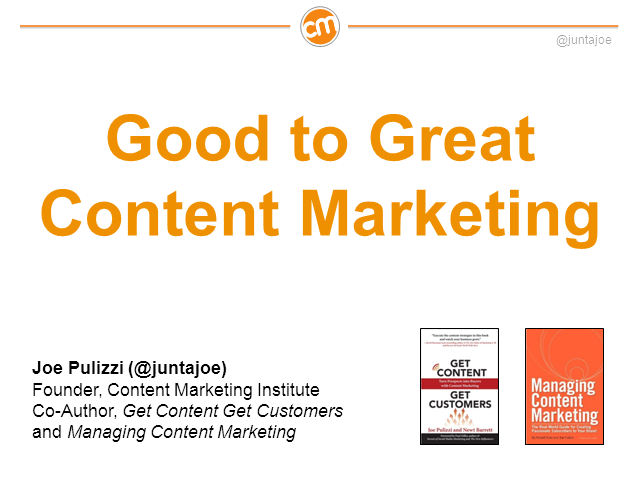 What separates good content marketing from great content marketing? Content marketing evangelist Joe Pulizzi identifies six areas, including multiple case studies, where some of the best corporate storytellers are standing out to attract and retain customers. You'll be sure to takeaway larger-scale strategies, and smaller tactics you can execute tomorrow after attending this event.